Scented winter blossom attractive to early bees. 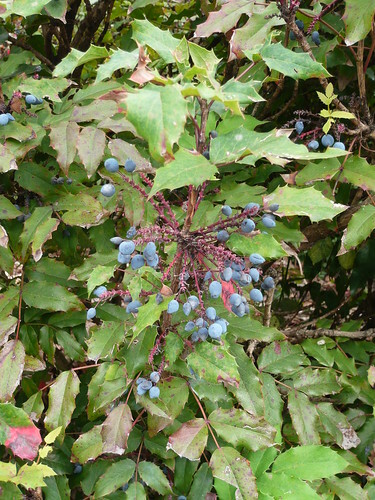 Dark berries attractive to birds and sharp prickles unattractive to trespassers are just three of the reasons to grow Mahonia. Flowering early this year this spiky shrub is renown for its winter blossom. On a still winters day the yellow flowers give off a delicate scent. Growing to around 4 foot these evergreen shrubs give all year around interest. I grow mine in an acid soil with Rhododendrons but they seem happy in all soils. There are several varieties so try see your purchase in bloom. The stems do not have spines but the leaves make up for this. After flowering there are black berries loved by our local birds. 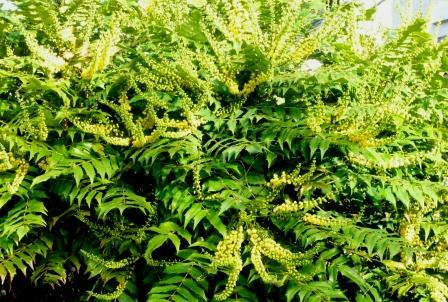 Mahonia Japonica and Mahonia aquifolium are species to watchout for. 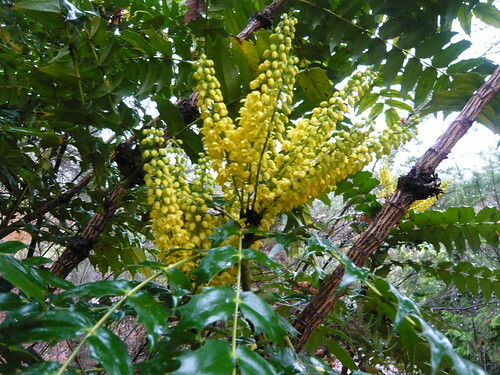 Mahonia nervosa is a low growing species, Creeping Oregon grape is called Mahonia repens. 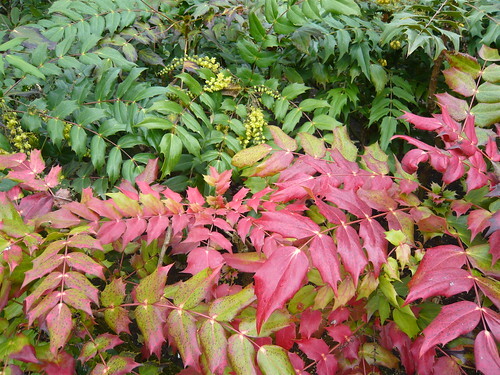 I really like the mahonia. Here in my area they self seed quite a bit and populate the woodlands but do make a great source for wildlife food. What an interesting shrub. I’ve never grown it before, but I know I’ve seen it planted around here. Thanks for the great info.